Acer Limo serves Vancouver Malls, Tsawwassen Mills Mall and tours to the Southern Gulf Islands and more! Spend a day hopping around Vancouver’s most famous stores on this independent, full-day shopping experience. With a flexible itinerary, private vehicle and your very own personal driver, you’ll visit world-renowned department stores like Burberry, Escada, Tiffany & Co., Louis Vuitton, Christian Dior, Gucci and more! Tsawwassen Mills is a shopping mall on Tsawwassen First Nations land, in Delta, British Columbia. The mall was built by Ivanhoe Cambridge and opened on October 5, 2016. It features 1.2 million square feet of retail space and an 1,100 seat food court. It features 200 retailers, including Bass Pro Shops and Saks Off 5th. Denman Island offers visitors scenic parks, and exceptional wilderness and wildlife viewing opportunities. A laid-back, artsy attitude awaits on Gabriola Island. Galiano Island, the driest of the Southern Gulf Islands, lies just east of busy Salt Spring Island and southwest of the BC mainland. Hornby Island boasts a large arts community, and numerous scenic parks and beaches. 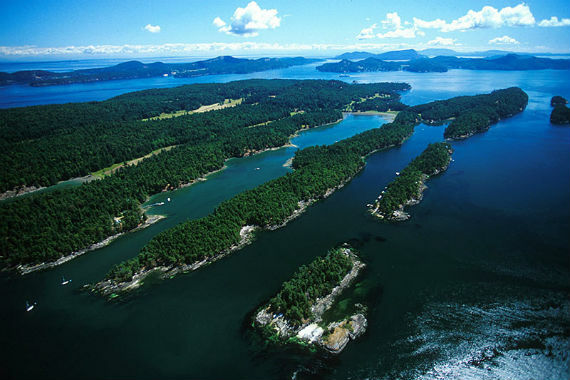 Mayne Island lies about midway between Vancouver Island and the BC mainland. The island is best known for its collection of turn-of-the-19th-century buildings, and superb kayaking conditions. Once joined by a peninsula, the Pender Islands are densely forested and the coastline is dotted with the kind of small, secluded beaches that attract abundant wildlife. Salt Spring Island’s easy-going lifestyle, rich cultural scene and serene beauty have made it a top BC tourism destination. Saturna Island is the least developed and most sparsely populated of the Gulf Islands. Highlights of the landscape include interesting sandstone formations, a long stretch of undisturbed, old-growth forest, and Mount Warburton Pike. Book your own private Limousine from Acer Limo and experience the wonders of Victoria BC, Canada in comfort and style! Not sure what kind of itinerary to plan? Acer Limo equips your party with professional chauffeurs who know the city inside and out. Acer Limo will help you pack in as much fun as possible! Whatever your preferences, Acer Limo has the solution for you. Let Acer Limo be your guide to all that Victoria and Southern Vancouver Island has to offer. Copyright 2019 Acer Heritage Limousine Service Ltd. All rights reserved.